We had a great day yesterday, harvest loads of spring cabbage and new potatoes from the poly tunnel to make way for planting tomatoes and cucumbers. Delicious! Also for those interested in the workings of the garden we had out first proper meeting of Wednesday volunteers last week which was great and the notes are up on the meetings page. Next meeting 19th June 1:30. There will also be cake as we celebrate midsummer. 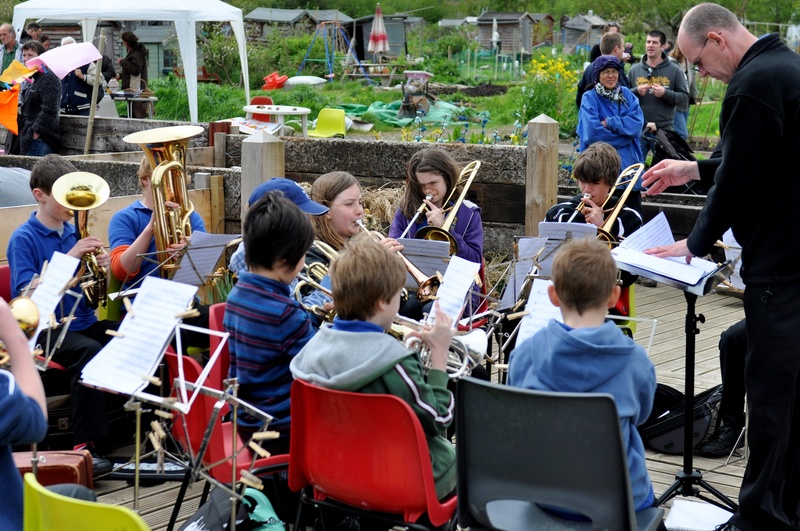 And spread the word we’re selling plants and welcoming kids for pond dipping at our open day/work day on June 8th as part of the Get Growing Trail. The tadpoles are chubby spotty beauties at the moment and just about to start growing legs – they grow up so fast! This entry was posted in News from the Garden on May 30, 2013 by GHCG. Here’s the poster for our next workshop! 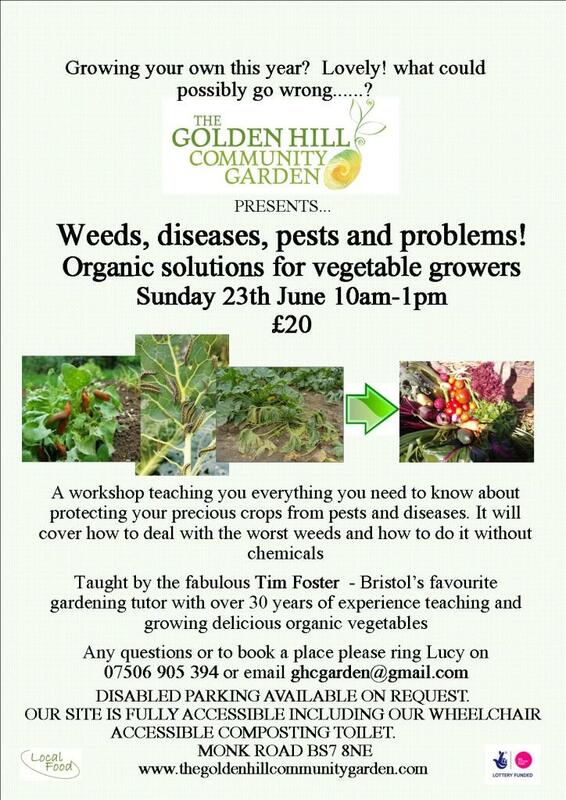 It’s taught by Horfield allotment’s very own Tim Foster. He is without doubt Bristol’s best gardening tutor – I still refer to the notes I took on the course I went on with him years ago! Expect practical, useful organic solutions from a someone who REALLY knows what he’s talking about. It’s another bargain at £20 and our last workshop sold out so get in touch if you want a place and please forward the poster on to anyone you might know being pestered by pigeons, menaced by mildew or, erm… battered by bindweed (!). Also this Wednesday (tomorrow) we are having our first user group meeting at 10:30 -11:30 so come along if you’d like to be part of the group the helps steer us forward. They’ll be tea and biscuits of course. 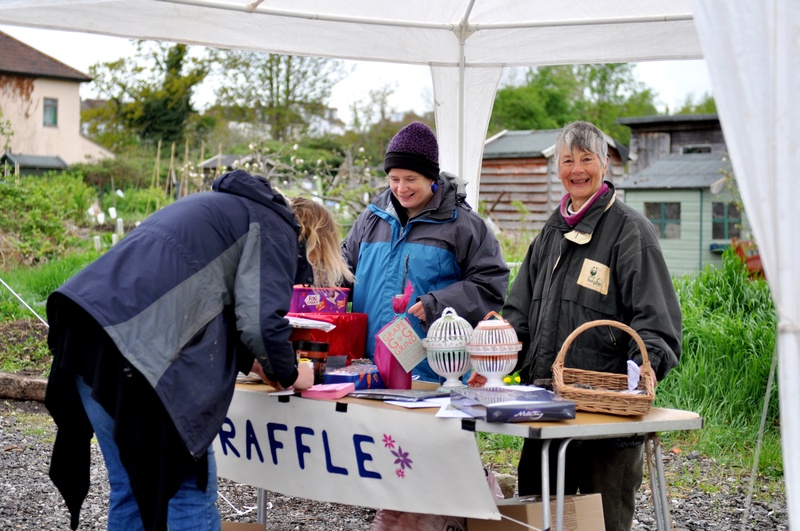 We WON’T be opening on the first Saturday of the month for our work day next month as we’re open the following Saturday 8th June as part of the Get Growing Trail for pottering, pond dipping and a plant sale. 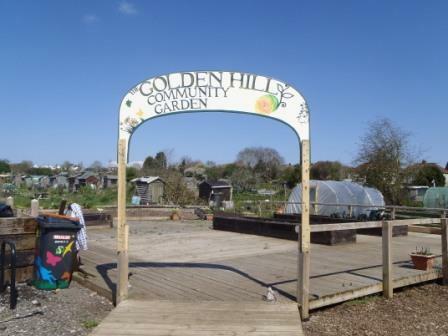 We’ve also been busy with visits from Pied Piper Nursery, pond dippers from Ashley Down Infants and a couple of groups from Headway (supporting adults with head injuries) have got involved and taken on one of our new raised beds. Looking forward we’ll be building our clay pizza oven 10am-4pm on 6th and 20th July. This is going to run on a optional donation basis of £10 per session to help pay for our lovely tutor Rachel Baker. Volunteers get preference and then people who can make both sessions. Children welcome. This week we’ll be planting out our beans, cucumbers and courgettes, saying good bye to the last of the winter veg as we harvest the last of the kale and purple sprouting broccoli and hello to summer as we harvest the first of new potatoes from the polytunnel- yum! This entry was posted in News from the Garden on May 21, 2013 by GHCG. Total money taken: A whopping £1116.99! Number of people who fell in the pond: only 1! Amount raised in raffle: £456!! Number of gazebos that actually blew away: 0! It was a joy to see so many happy smiling faces, scoffing cakes, wining raffle prizes, sharpening tools, buying veg, wearing crown, making badges and running round looking like pirates/spiderman/a fish. And who would have thought we mange to find a window between the morning’s drizzles and the evening’s hail storms and there was even a little sunshine! Thank you so everyone who came and made the event so lovely and a special thank you to everyone who volunteered and as usual went above and beyond. 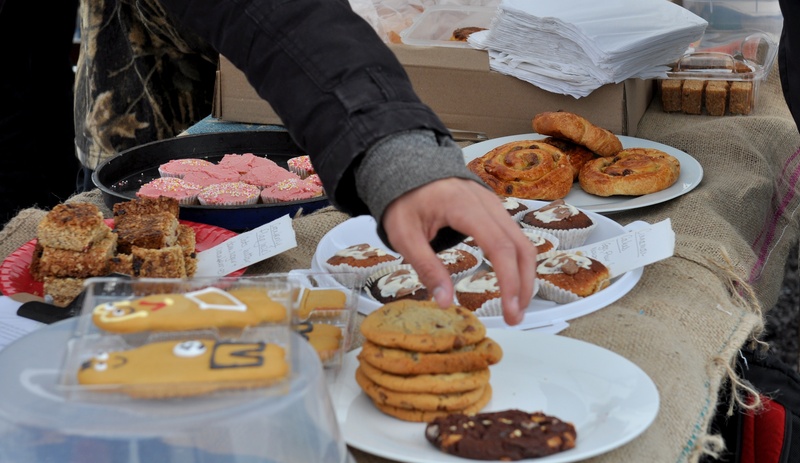 BUT we were a lot lower on cakes than last year and we could definitely do with some more help on the day so the volunteers can take a little breather and have a cup of tea. Sooooo the next big event will be the Summer Show/Harvest Fair 14th September – get it in your diaries now and come help a create a lovely community event! 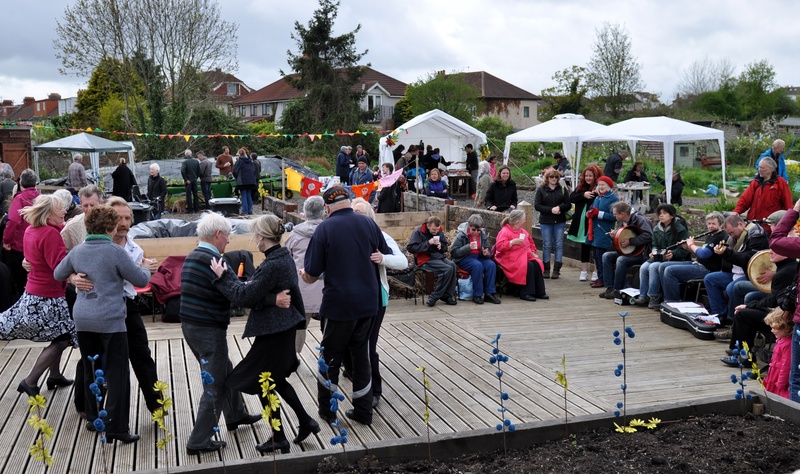 Also our next big open day is 8th June 11-3 as part of the Bristol Get Growing Trail, another chance to buy plants, eat cakes, pond dip and enjoy the garden. So tell your friends and get involved! 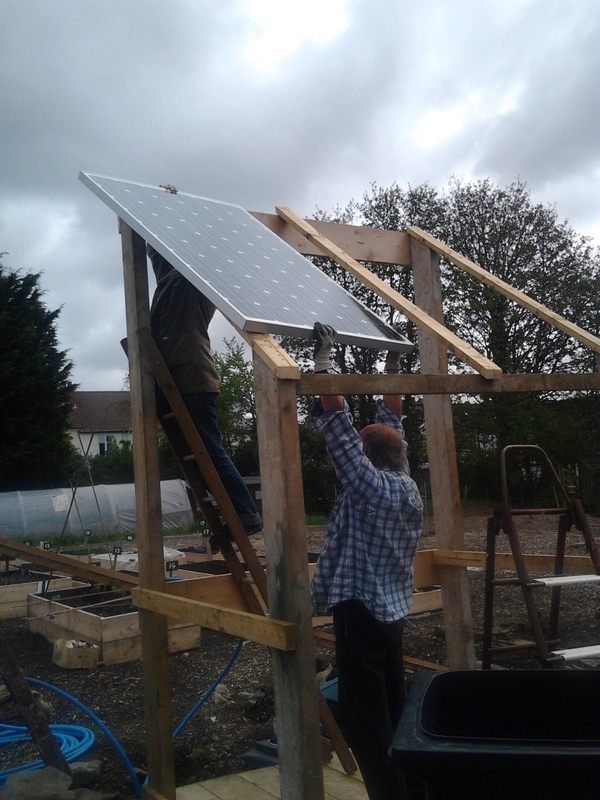 And in other news it’s onwards and upwards for the growing season, tomorrow we’ll get on with planting out veg in our polytunnels tomorrow, keep planting more seeds, and anyone who makes it down tomorrow we’ve a feast of perpetual spinach to harvest and more purple sprouting broccoli – yum! This entry was posted in News from the Garden on May 14, 2013 by GHCG. Okay so the weather could be better but that’s never stopped us in the past. 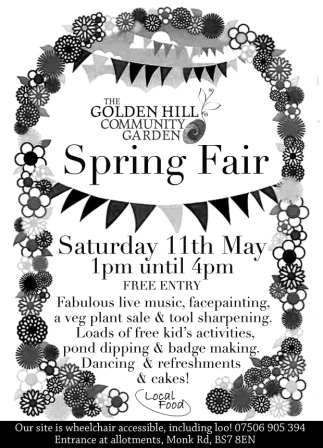 In fact what’s a Golden Hill Community Garden event without the threat of rain and/or gazebos blowing away? This time last year we were underwater and we still had a good time! That said I am fully expecting the wind to die down and the sun to come out between 1-4. People are welcome along to help secure gazebos and lash down the bunting and make the site look even more lovely than normal from 10am. For the early birds out you might have just heard me gabbling away BBC radio Bristol I think aside for the gabbling I think it went well but at 6:35am I’m never my most coherent. Today we’l have the Bristol major George Ferguson popping in at some point as well as pond dipping, badge making, face painting and tool sharpening going on all day. Plants for sale include tomatoes, cucumbers, brussel sprouts, broccoli, cabbage, cosmos, sweet peas, leeks and salads! All at very reasonable prices. So bring cake, bring yourselves and bring all your friends and anyone you see in the street… and probably best to bring a waterproof – just in case. This entry was posted in News from the Garden on May 11, 2013 by GHCG. 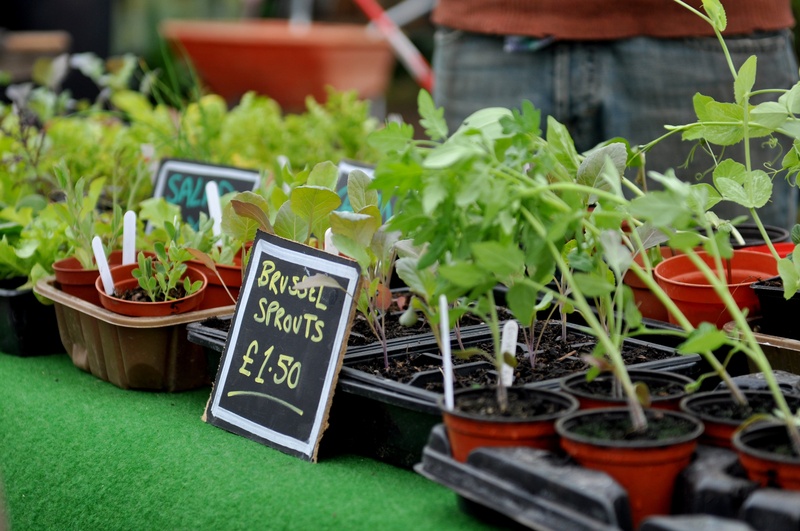 We’ve loads of veg and flower seedlings available at bargain prices! 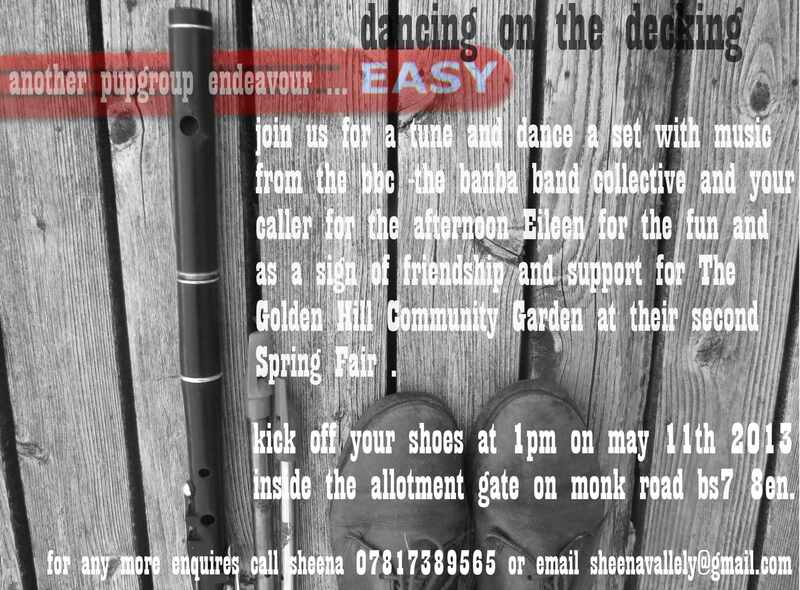 And Tim Foster will be showing people how to maintain and properly sharpen your tools, so bring along any blunt hoes, secateurs, spades etc and find out how much easier gardening can be. 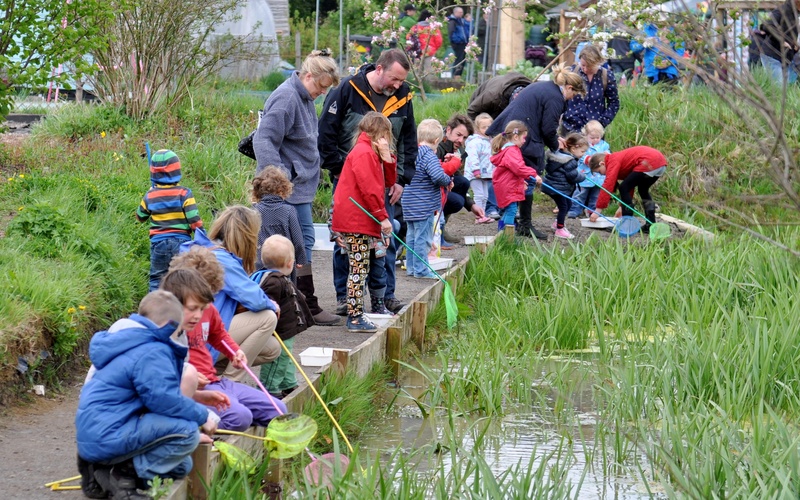 In the kids area we’ll have badge making, art activities and face painting AND there’s a chance to look for newts and tadpoles whilst pond dipping in our lovely pond. Also loads of great live music! 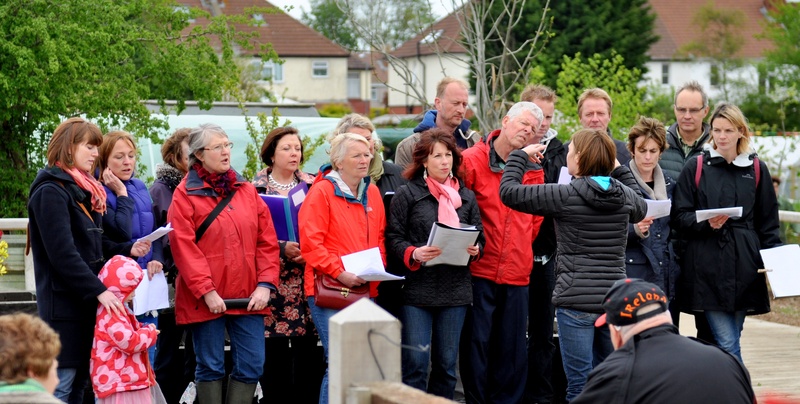 Singing from Bishop Rd Parents Choir at 1! Free free to bring along any donated cakes on the day. Whoop! and here’s to more sunshine! This entry was posted in News from the Garden on May 6, 2013 by GHCG.